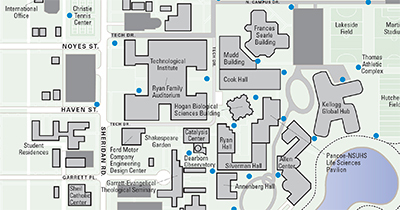 Navigate campus on a mobile device or with one of our printable maps. Northwestern is easily navigated by car, bike or foot. 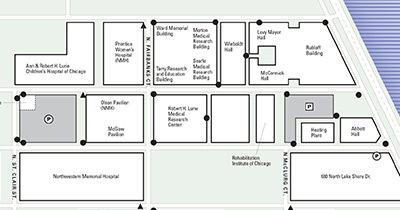 Use our interactive map to find campus buildings and locations, get directions and track campus shuttles.